JERUSALEM (AP) — Israel’s military expanded its massive manhunt for a Palestinian assailant on Monday as authorities announced that a second Israeli died of wounds sustained in a West Bank shooting attack the previous day. Beilinson Hospital said Ahiad Ettinger, a 47-year-old father of 12, died of his wounds from the shooting and stabbing attack near the settlement of Ariel on Sunday. The attack also killed 19-year-old soldier Gal Keidan and seriously wounded another soldier. Ettinger, an ordained rabbi, lived in a West Bank settlement and headed a religious seminary in Tel Aviv. He managed to get off a few shots from his personal sidearm before he was gunned down. “Rabbi Ettinger’s life’s work will continue and be among us even after his passing, and the strength he gave his pupils and the community he led will continue to strengthen us through the enormous grief and sorrow,” said President Reuven Rivlin. Israeli troops went house to house overnight in search of the assailant, identified as a 19-year-old Palestinian, and closed off a cluster of villages where he is believed to be hiding. He added that Ariel would begin constructing some 840 already approved housing units in a new neighborhood the following day. 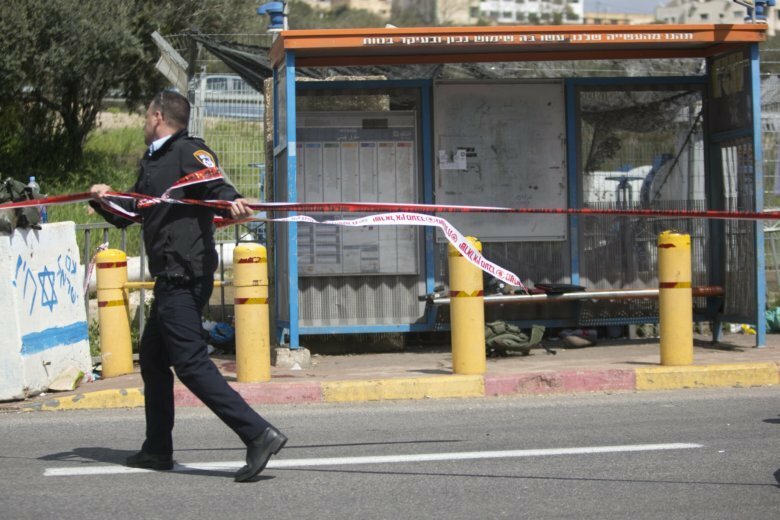 The military said the attacker fatally stabbed Keidan, the soldier, before stealing his assault rifle and opening fire at passing vehicles. He then carjacked another vehicle and sped away, firing toward more soldiers before escaping into a nearby Palestinian village. The military said it had surveyed his home for future demolition. Israel often demolishes homes of alleged Palestinian assailants or their families as a policy it says deters future attacks. Sunday’s attack came after two Palestinians were killed by Israeli fire last week in separate West Bank incidents that followed a period of relative calm, even as the Israeli military has been warning of the potential of a new escalation of violence. Last week, Hamas fired a pair of missiles from Gaza toward the Israeli city of Tel Aviv in a rare attack into the heart of Israel that looked to set the sides into another round of escalation. But the launch was apparently a technical malfunction and after a brief Israeli reprisal, calm was restored. Israel is currently in the midst of an election campaign, and Egypt is trying to broker a long-term truce between Israel and Gaza’s Hamas rulers.